The Conservative backbencher who asked the Charity Commission to investigate whether a tweet from Oxfam was politically motivated has said that charities should not be able to use public funds to lobby government. 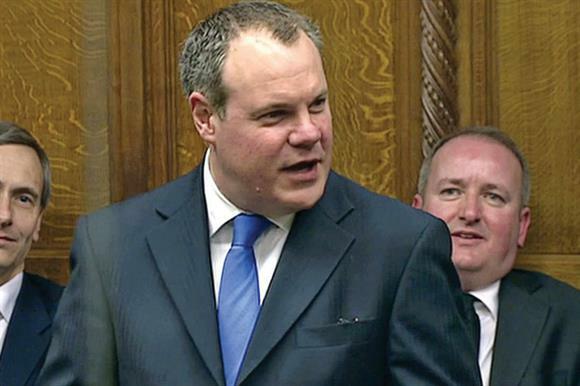 Conor Burns, MP for Bournemouth West, said that he had sympathy from the Prime Minister, David Cameron, for his view. Burns earlier this month complained to the regulator about a tweet from Oxfam that said that austerity was forcing more people into poverty. He said the tweet was "highly political advertising" and asked the commission to investigate whether it had broken any rules. Burns last week told the BBC Daily Politics show: "We have government giving unrestricted grants to charities, then those charities using that money to lobby the government to change policy. That is, I think, an abuse of taxpayers’ money and one that should come to an end." He also told Radio 4’s World at One show: "I have been overwhelmed since I made my comments about Oxfam’s poster by the passionate response from colleagues, including very senior colleagues, right to the top, who say that this is an issue that the government really has to address." Asked if that meant that the Prime Minister sympathised with this point of view, Burns said "yes". Burns said that he had "no issues with charities campaigning", but thought that people who supported their local Oxfam shop "give money on the assumption that that’s going to alleviate poverty in some of the poorest parts of the world, not that it’s going on political campaigns in the United Kingdom". Asked to comment on what Burns had said, a spokeswoman for 10 Downing Street said the rules on what charities could do were a matter for the Charity Commission, and would not comment further. She said the regulator was still assessing the Burns’ complaint about Oxfam.